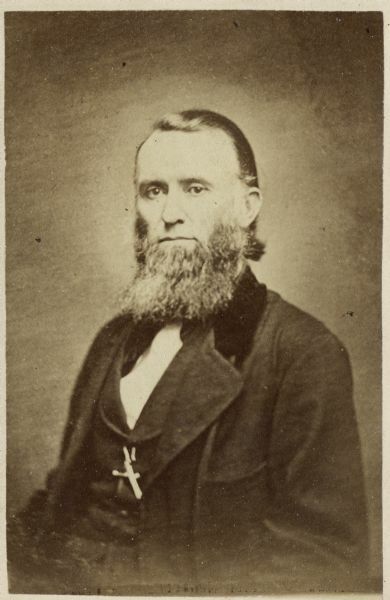 Studio portrait of William Sanderson McCormick (1815-1865). William Sanderson McCormick was a son of Robert McCormick and Mary Ann Hall and brother to Cyrus Hall McCormick, industrialist and inventor of the first commercially successful reaper. The handwritten caption on the back of the photograph reads, "Born Nov.2nd - 1815, Died Sept.27th - 1865, Aged 49 yrs. 10 ms. & 25 days."